Explore the endless chain of lovely meadows along the Lyell Fork. The journey truly is the destination in this hike. 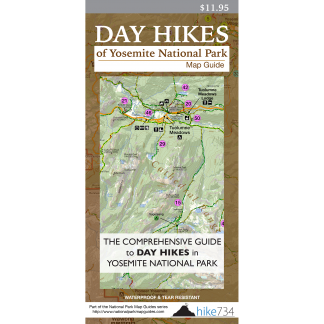 You can make this a shorter hike anywhere in the 5-15mi/8-24km range by turning around at any of the beautiful meadows (for description of the full hike see Lyell Canyon). 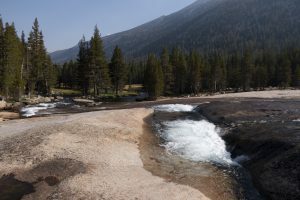 Trailhead: Turn off the Tioga Road onto the signed road for Tuolumne Lodge. Follow the paved road towards the lodge until you reach the signed parking for the Dog Lake / John Muir Trail. Look for the John Muir Trail to the south.